Indian Country could finally see an end to nonconsented infrastructure projects if they follow New Zealand’s Maori in achieving legal protection for natural entities. In mid-March of this year, New Zealand officially recognized the Whanganui River as a living entity with rights. 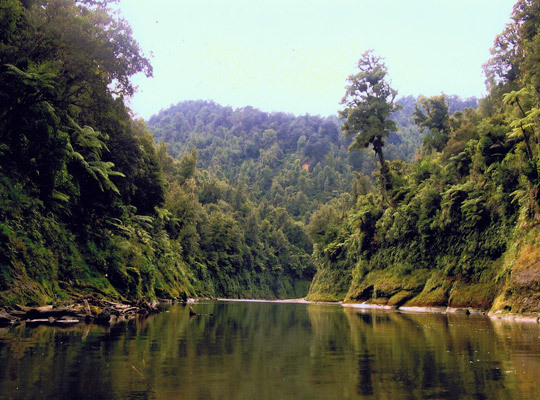 The river, which the Maori consider their ancestor, is now offered protection through the New Zealand legal system against any human or human-led project that threatens its well-being. It is a critical precedent for acknowledging the Rights of Nature in legal systems around the world. This entry was posted in Civil Rights, Climate Change & Environmental Issues, Government, Human Spirit, International Agreements, Living Examples, Religion, Social Justice, Solidarity, Water and tagged Civil Rights, Dakota Access Pipeline, Environment, Ho-Chunk Nation, Human rights, indigenous cultures, indigenous rights, International Agreements, Lakota, Missouri River, Native American, New Zealand, personhood, religion, Rights of Nature, social justice, Solidarity, Standing Rock, Te Awa Tupua, Water, Whanganui River on September 14, 2017 by ew. The O’Odham nation lives on both sides of the US-Mexican border, and for that they are persecuted. My name is Ophelia Rivas, but my family knows me as Ilya. You know, the place where I come from is beautiful land. We’ve lived there for centuries and we have a way of life that we’ve followed for all those years. We continue parts of it right now, but the political effects that are imposed on our people because of these borders are greatly impacting our people. This entry was posted in Civil Rights, Corruption, Government, Human Rights, Immigration, International Agreements, National Security vs Police State, Religion, Social Justice and tagged Atrocities, Civil Rights, Corruption, Equality, Human rights, immigration, indigenous cultures, Indigenous populations, indigenous rights, International Agreements, Mexico, Native American, O'Odham, religion, social justice on August 29, 2017 by MNgranny. 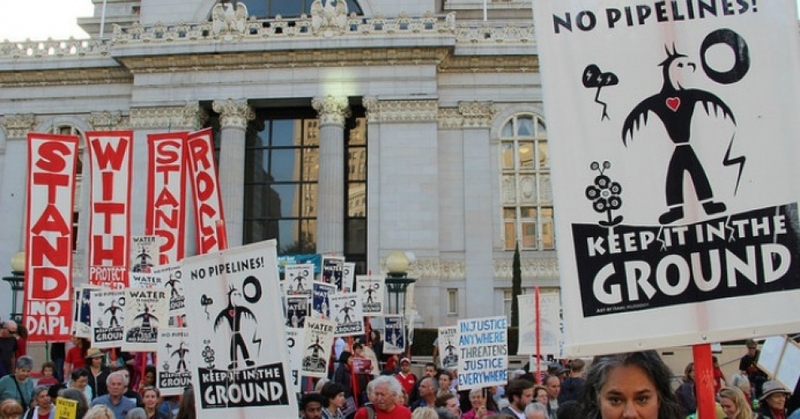 What can be learned from the movement to halt the Dakota Access Pipeline? Why indigenous civil resistance has a unique power. Stand With Standing Rock Nov 11-15 2016. Credit: Flickr/Leslie Peterson. CC BY-NC 2.0. 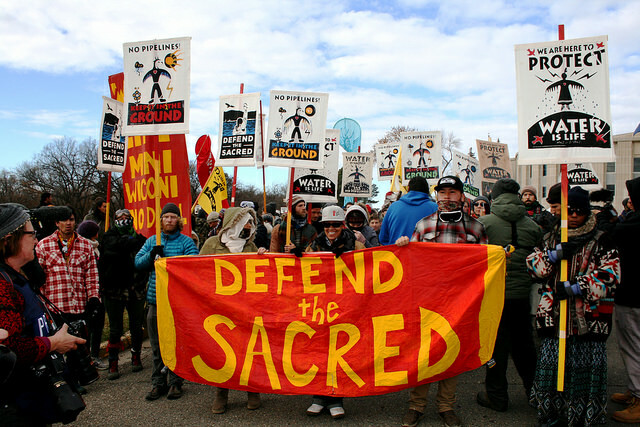 2016 saw the emergence of a powerful movement against the construction of the Dakota Access Pipeline, or DAPL, through land vital to Native communities, especially the Standing Rock Sioux. For non-Native people who have not been paying attention to indigenous rights struggles over the past several decades, the #NoDAPL movement may have served as a wake-up call to some of the injustices still confronting these communities. This entry was posted in Civil Rights, Climate Change & Environmental Issues, Corruption, Demonstrations & Protests, Economics, Human Rights, Human Spirit, International Agreements, Living Examples, Religion, Social Justice, Solidarity, Water and tagged Civil Rights, Dakota Access Pipeline, Economics, First Nations, Human rights, Indigenous populations, indigenous rights, International Agreements, Native American, Protests, religion, social justice, Solidarity, Standing Rock, Water on August 20, 2017 by ew. 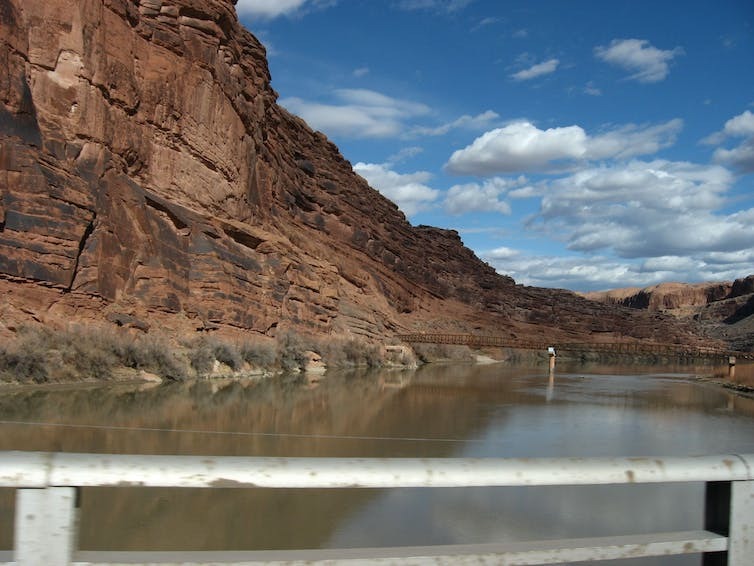 The Colorado River, one of the longest rivers in the United States, is gradually shrinking. This is partly a result of overuse by municipalities and seasonal drought. The other reason is global warming. The decline in the river reservoir will have serious implications for large U.S. cities, such as Los Angeles, that depend on the Colorado River as their water source. In addition, this will also have an impact on the Native American tribes who view the Colorado River as sacred to their religions. As a scholar of Native American religions and the environment, I understand how indigenous people’s religions and sacred places are closely tied to their landscape. For the past 100 years, indigenous peoples have been forced to adapt to changes in their environments and modify their religious rituals in the United States. The U.S. government made certain Native American religious practices illegal in the 19th and early 20th century. Although these policies have since been rescinded, they led to changes in many indigenous practices. Global warming, however, is different. The question is whether indigenous people will be able to adapt their beliefs all over again due to the impact of global warming on the natural world. The Blackfeet tribe in Montana brought changes in their relationship with the natural world as a result of the policies of the U.S. government from the 1880s to the 1930s. For example, the Blackfeet purposefully moved religious ceremonies from one time on their liturgical calendar to completely different times to avoid the U.S. government penalizing native people for dancing or participating in religious ceremonies. The Blackfeet moved their annual O’kan, or sundance festival, from late summer (usually held at the end of August) to the Fourth of July celebration. They avoided U.S. government punishment by masking their ceremonies within state-sanctioned public events. Policies related to the mining of natural resources and damming of rivers on indigenous lands have also led to changes in Native Americans’ religious practices. Historian David R. M. Beck interviewed elders and researched how the Menominee tribe in Wisconsin adapted to the loss of their sacred fish, the sturgeon, after a paper mill built a dam across the Wolf River. The sturgeon disappeared after the dam was built in 1892, because they could no longer swim upstream to spawn. 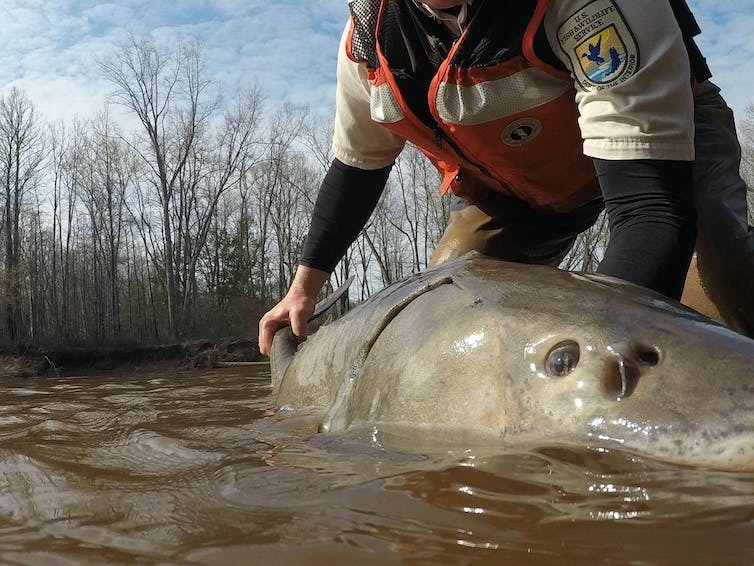 For over 100 years, the Menominee tribal members continued to pray and conduct their annual “returning of the sturgeon” ceremony in the spring – even though there were no more sturgeon in the river. The Menominee ultimately won the right to return the sturgeon to the Wolf River in 1992 and the tribe revitalized the full ceremony and celebration of their sacred fish. In all these situations, Native American tribes learned to adapt to the challenges placed before them, modify their religious practice and embrace a different relationship with the natural world. When it comes to global climate change, it affects everyone, not just specific groups in specific places. But for many indigenous peoples, natural resources are closely linked to religious beliefs and practices. Historically, indigenous peoples used the natural seasonal cycles of weather, plants and animals as part of their liturgical or religious calendar. The Blackfeet held their annual “beaver bundle ceremony” in the early spring as ice melted off rivers and beavers returned to the open waters. In Blackfeet mythology, a beaver served as a deity who taught humans how to cultivate tobacco, which the tribe used for important religious ceremonies and as a peace offering to their enemies. that beavers eat, as both move north into new regions. 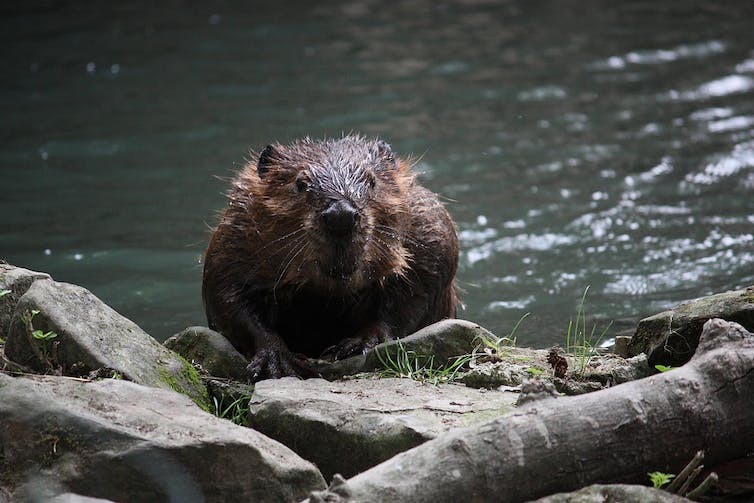 Scientists worry that as a keystone species, the movement of beavers will change the northern ecosystems as they cut off waterways and build beaver dams. And shrubs will change the local waterways that they grow by. This will affect local animal species. What will happen when there are no more beaver in Blackfeet territory? Will their religious traditions adapt similar to the Menominee when they faced the loss of their sacred sturgeon? From the arctic tundra to the American desert southwest, and places worldwide, indigenous peoples will be facing the impact of global climate change. If this river faces a drier future, it will likely affect the Mojave, a people indigenous to the Colorado River basin, who believe the river was created by their ancient deity Mastamho as part of their sacred landscape. 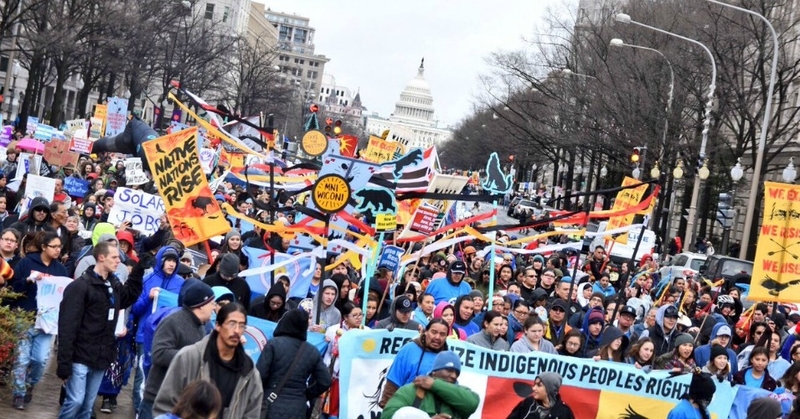 As the G-20 convenes in Germany this week to discuss global issues including climate change, indigenous scholars, such as myself, are wondering what the future holds for indigenous peoples, their environments and their religions. Indigenous communities can be resilient and adapt their internal religious beliefs to outside challenges, as Native American tribes from the turn of the 20th century have proven. Climate change presents yet another challenge. This entry was posted in Agriculture, Civil Rights, Climate Change & Environmental Issues, Government, Human Rights, International Agreements, Religion, Solidarity, Water and tagged Civil Rights, Climate Change, Colorado River, Environment, Global Warming, Human rights, International Agreements, Los Angeles, Montana, Native American, religion, Solidarity, Water, Wisconsin, Wolf River on July 16, 2017 by ew. Racism—not mental illness—was behind the killings on the Portland train. Let’s call it what it is so we can deal with it. 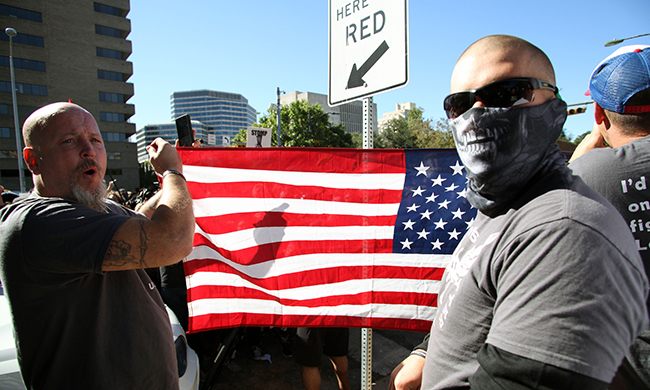 Austin, Texas, USA – November 19, 2016: ‘White Lives Matter’ demonstrators display an American flag at a protest just south of the Capitol grounds. The ‘White Lives Matter’ demonstrators, numbering about 20 people at the most, came from Houston with the message that the hate crime law is unfair to white people. A Somali-American Muslim woman was attacked and severely beaten in Columbus, Ohio, over the weekend, after coming to the defense of another Muslim woman who was being verbally assaulted. This entry was posted in Civil Rights, Elections, Human Rights, Media Issues, Racism, Religion, Social Justice, Terrorism and tagged Atrocities, Civil Rights, Donald Trump, Dylann Roof, Elections, Equality, Harvey Anderson, Human rights, Islamophobia, Jimmy Smith Kramer, Media Issues, Micah Fletcher, Native American, Racism, Rahma Warsame, religion, Richard Collins, Rick Best, social justice, Taliesin Namkai Meche, terrorism, white supremacists on June 9, 2017 by ew. Throughout the battle over the Dakota Access pipeline (DAPL), Indigenous campaigners and their allies repeatedly warned it was not a question of if, but when a breach would occur. Now, before the pipeline is even fully operational, those warnings have come to fruition. This entry was posted in Agriculture, Civil Rights, Climate Change & Environmental Issues, Corruption, Demonstrations & Protests, Economics, Energy, Fracking, Government, Human Rights, International Agreements, Religion, Social Justice, Water and tagged Atrocities, Big Oil, Capitalism, Civil Rights, Corruption, Dakota Access Pipeline, Economics, Energy, Energy Transfer Partners, Environment, Fracking, Human rights, Hydraulic Fracking, indigenous rights, Native American, Oil, Oil Shale, Pipeline, religion, social justice, South Dakota, Water on May 12, 2017 by ew. 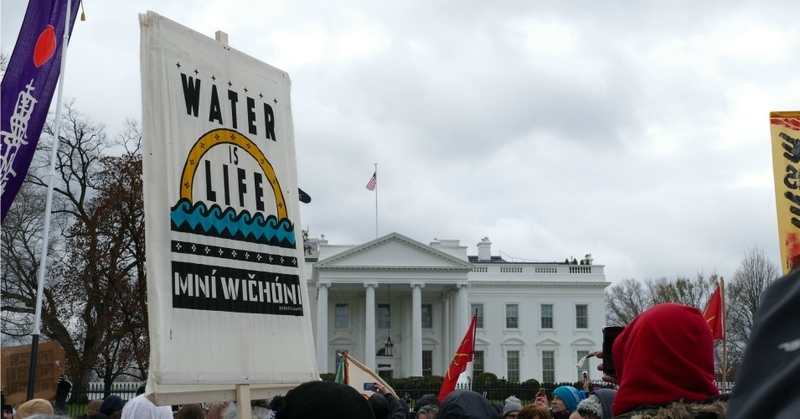 “Water is life!” was the cry heard throughout Washington, D.C., on Friday as thousands of people filled the streets and marched for Indigenous rights and the sovereignty of native nations, demonstrating that the fight against the Dakota Access Pipeline has sparked an ongoing movement. This entry was posted in Civil Rights, Climate Change & Environmental Issues, Corruption, Demonstrations & Protests, Economics, Energy, Fracking, Government, Human Rights, International Agreements, Peaceful resistance, Racism, Religion, Social Justice, Solidarity, Water and tagged Capitalism, Civil Rights, Corruption, Dakota Access Pipeline, Economics, Energy, Environment, Fracking, Human rights, Hydraulic Fracking, Indigenous populations, indigenous rights, International Agreements, Native American, Oil, Oil Shale, Pipeline, Protests, Racism, religion, social justice, Solidarity, Standing Rock, Water on March 11, 2017 by MNgranny. The Standing Rock Sioux has responded to President Donald Trump’s executive order to push through the long-contested Dakota Access Pipeline (DAPL), calling the memorandum “utterly alarming” and warning that following through with it would violate federal law. This entry was posted in Civil Rights, Climate Change & Environmental Issues, Corporate Personhood, Corruption, Demonstrations & Protests, Economics, Elections, Energy, Fracking, Government, Human Rights, International Agreements, Peaceful resistance, Racism, Religion, Social Justice, Water and tagged Atrocities, Big Oil, Capitalism, Civil Rights, Corruption, Dakota Access Pipeline, Dave Archambault II, Donald Trump, Economics, Elections, Energy, Environment, Fracking, Human rights, Hydraulic Fracking, International Agreements, Keystone XL, Native American, Oil, Oil Shale, Pipeline, Protests, Racism, religion, social justice, Standing Rock, US Army Corps of Engineers, Water on January 29, 2017 by ew. 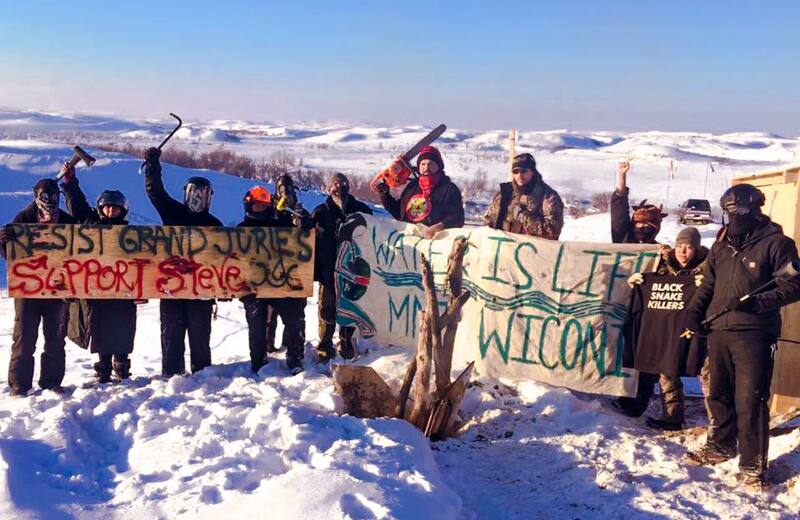 “Minnesota Nice” is not extended to water protectors! Yesterday afternoon, activists gathered on a bridge over the Mississippi River to protest the Trump administration”s executive order concerning the Dakota Access and Keystone XL Pipelines. It took place on Lake Street Bridge, near where Marshall intersects with Lake Street. To those not familiar with our city, this is where Minneapolis and St. Paul meet, over a river that has been polluted by industrial and agricultural runoff to the level that fish consumption advisories are common. 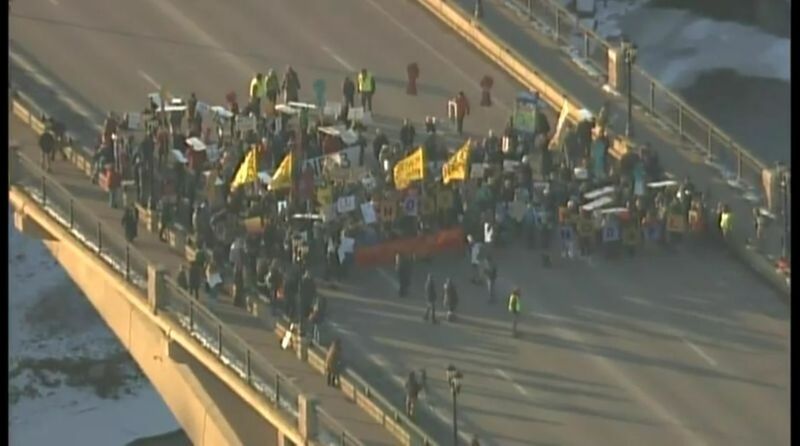 The protest was peaceful, with the police shutting down access to the bridge from either direction and redirecting traffic to protect all citizens, including the protestors. As many of you may know, Occupy World Writes is based in the Twin Cities. When most people think of Minnesota and the people who live there, they usually have two preconceptions about the place. The first is that it resembles the Arctic Circle during the winter (which it occasionally does), and that the people are basically decent, caring human beings. “Minnesota Nice” is one of those catchy phrases that our state tourism departments love, and use to their benefit. “Run ’em down”: Vehicular manslaughter is a crime in Minnesota, as it is in all US states. To cause bodily injury with intent by using a motor vehicle against a pedestrian is also illegal. The protesters were there legally, as proven with the law enforcement officers protecting them. “Arrest them all!”: In order to be arrested, a person must be breaking the law. These people were protected BY the police, not trying to escape them. Law enforcement understands that 1st Amendment rights and peaceful protests are completely legal. To arrest people for NOT doing anything against the law is an overreach, at best. “Go get a job!“: Assessing one’s employment status by appearance alone is not a skill – it is a judgement. The activist community around here is the same as it is in most big cities across this country – very diverse. Most are employed; everyone who works, works hard. Some work 2nd or 3rd shift, some work over the weekends and have other days off during the week, and some are retired or full time students between class schedules. When people go to a sporting event, we don’t look at all the spectators and say “Go get a job!” Maybe this what these people CHOOSE to do when not at their jobs. “This is ASSAULT if I can’t drive where I want to!”: Assault is defined as an intentional act by one person that creates an apprehension in another of an imminent harmful or offensive contact. We have not been able to assess how motorists in cars across the city were “assaulted” by people standing on a bridge. “It’s all the fault of those BLM people!”: The people we observed in the footage were not African American. They appeared to be a diverse group of white, native, latino and other sects that represent a cross section of the greater metro area. Many of the posters and other supporting demonstration gear was identical to what was seen in Standing Rock and Sacred Stone Camps in North Dakota, where people in the Twin Cities swore their solidarity with the water protectors. What we observed the most was the total disconnect between what should be an obvious 1st Amendment right being exercised, and the assumption that this was somehow “illegal” and should not be allowed. It does not seem to have occurred to any of those criticizing this action, that when the Bill of Rights was written, it was done so very methodically, in a certain order, for a reason. You would not need 2nd Amendment rights if you did not have 1st Amendment rights worth defending. This entry was posted in Civil Rights, Climate Change & Environmental Issues, Corruption, Demonstrations & Protests, Economics, Energy, Fracking, Government, Human Rights, Human Spirit, International Agreements, Peaceful resistance, Racism, Social Justice, Solidarity and tagged Atrocities, BlackLivesMatter, Civil Rights, Corruption, Dakota Access Pipeline, Democracy, Economics, Energy, Environment, Equality, Human rights, Keystone XL, Native American, Oil, Pipeline, Protests, Racism, social justice, Solidarity on January 28, 2017 by MNgranny. As the Standing Rock Sioux tribe votes to forcibly evacuate all the remaining camps, President Donald Trump may be preparing to approve the Dakota Access Pipeline. Cannonball, ND — President Trump has officially begun his first week in office. As the nation waits to see what executive orders Trump will issue and which promises he will keep, the Standing Rock Sioux are anxiously anticipating a decision from the new president regarding the controversial Dakota Access Pipeline. According to one congressman, there may be cause for opponents of the DAPL to be concerned. This entry was posted in Civil Rights, Climate Change & Environmental Issues, Corporate Personhood, Corruption, Demonstrations & Protests, Economics, Elections, Energy, Fracking, Government, Human Rights, International Agreements, Peaceful resistance, Racism, Religion, Social Justice, Water and tagged Atrocities, Big Oil, Capitalism, Civil Rights, Corruption, Dakota Access Pipeline, Donald Trump, Economics, Elections, Energy, Environment, Fracking, Human rights, Hydraulic Fracking, International Agreements, Native American, Oil, Oil Shale, Pipeline, Protests, Racism, religion, social justice, Standing Rock, US Army Corps of Engineers, Water on January 24, 2017 by ew.